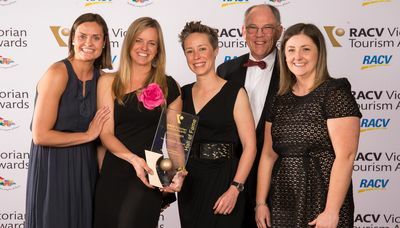 On 27 October, UWEA member, Fowles Wine won the RACV 2014 Victorian Tourism Award for Tourism Wineries, Distilleries and Breweries at the 30th RACV Victorian Tourism Awards ceremony held at the Melbourne Convention and Exhibition Centre. Winning 'Best Victorian Tourism Winery' in 2014 makes it the third year in a row that Fowles Wine has scooped this award. As a result, they have become one of few businesses to be inducted into the Victorian Tourism Awards hallowed 'Hall of Fame'. Speaking about their tourism achievements Fowles Wine CEO Matt Fowles said: "To score a hat trick in tourism excellence and enter the Hall of Fame is a dream come true and a massive achievement for our team and region! It is an absolute honour to be recognised as one of the best tourism businesses in Victoria. The awards process is a rigorous one so winning for the third year in a row is real testament to our commitment to continued excellence across our business. We have a brilliant team at Fowles Wine Cellar Door Café with Customer Services Manager Ian Firth at the helm and they have so much to be proud of. 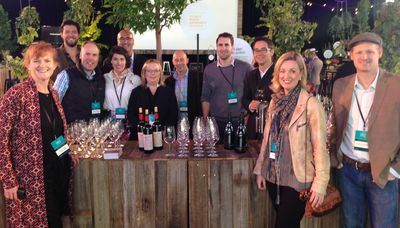 The 2014 trophy will take pride of place alongside our other awards at our Cellar Door Café and gives us a renewed sense of energy to keep doing what we do best - delivering great tourism experiences." 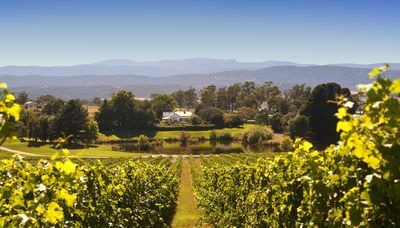 As State winner in the Tourism Wineries, Distilleries and Breweries Category, Fowles Wine are automatic finalists in the National Australian Tourism Awards due to be held in Adelaide in 2015. Ulitmate Winery Expereinces Australia is obviously very excited for the Fowles team and wish them all the best in the upcoming National awards!